Overlooking the mesmerizing Bay of Bengal, The Promenade is a luxurious boutique hotel offering an opulent accommodation and a wonderful service. 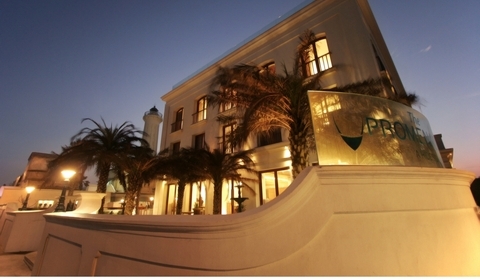 Located in the heart of Pondicherry, the hotel is brilliantly done in French style and has a distinctly modern interior. A five star property, the hotel provides everything luxurious and in style. The Promenade also has some of the best known food and beverage places in Pondicherry. Lighthouse is a charming rooftop restaurant that gives the most amazing views of the majestic Bay of Bengal and offers a tempting barbeque and grill menu. Blueline is a fine round the clock restaurant here that has to offer its guests a good range of authentic Oriental and Mediterranean dishes. Elaborate buffets are regularly laid here. An exotic lounge is also there at The Promenade, the Risque. It has a fine selection of wines, beers and other liquors. The bartender here can also get you some exotic cocktails and mocktails. Some nice flavors of coffee are also served here. Gardens, Bar, Breakfast Services, Recreation, Conference Hall, Jacuzzi, Backup Generator, Internet/Wi-Fi, Beauty Services, Laundry Facilities. Bathrobes, Voicemail, Wakeup Calls, Moisturiser, Microwave, Cable/Satellite TV, Fax Machine Room, Electronic/Magnetic Keys, Television Room, Internet Access. Arcade/Game Room, Health Club, Swimming Pool, Sports. ATM/Banking, Banquet Facilities, Beauty Services, Breakfast Services, Conference Hall, Doctor on Call, Laundry Facilities, Room Service, Secretarial Services, Bar. 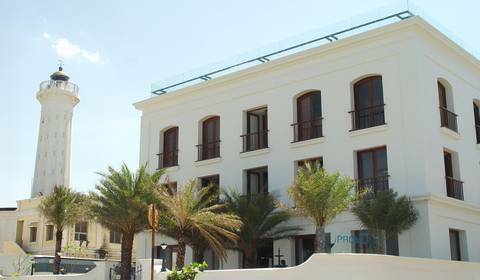 User reviews for "The Promenade Hotel Pondicherry"